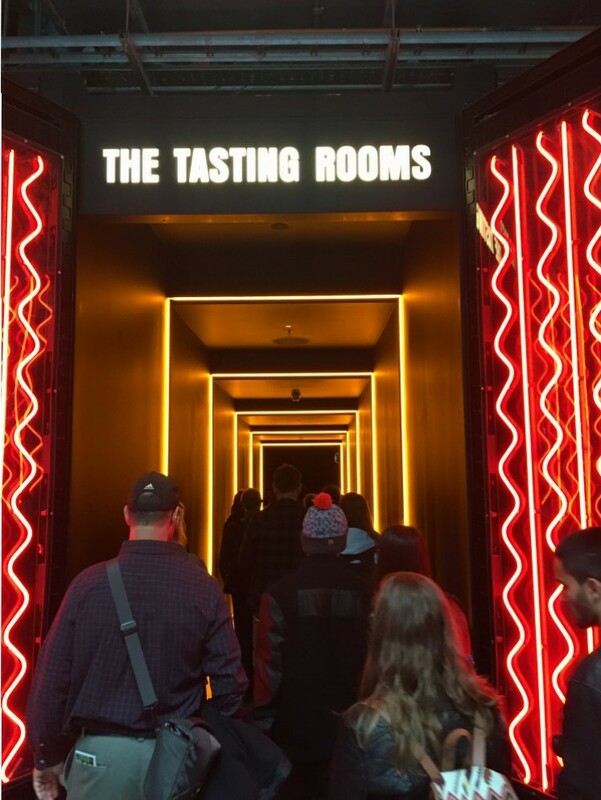 Recently named as Europe’s Most Popular Tourist Attraction by Conde Nast Traveler, the Guinness Storehouse is a must visit. This is true even if you’re not a big fan or drinker of Guinness. I found it to be a very interesting and educational experience. 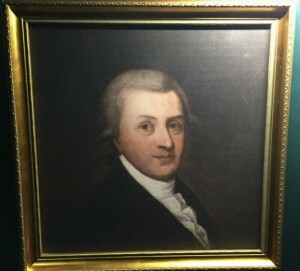 Arthur Guinness founded the brewery in 1759. He signed a 9,000 year lease at 45 Irish pounds annually. 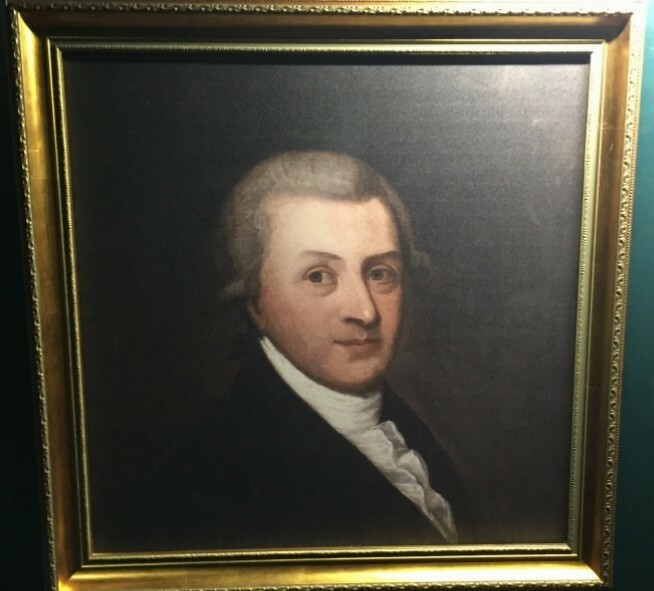 Ten years later he shipped his first ale to Great Britain, and in 1778 started selling the dark porter. 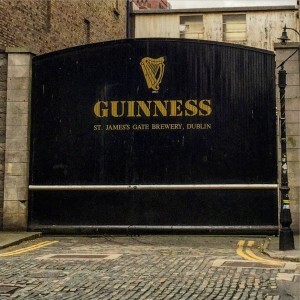 It wasn’t until the 1840s that Guinness started producing stout – closer to what is made today – though stout originally described the strength of the beer. 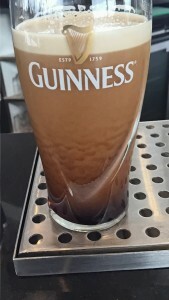 The meaning of “stout” has since shifted to the body and color of the beer. 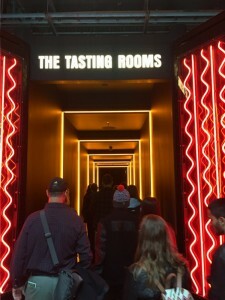 The inside of the Guinness Storehouse is shaped like a pint glass, but you wouldn’t know it from the outside as it is just the center of the interior that makes up the ‘pint’. The pint glass is 7 stories tall and would take 14.3 million actual pints to fill it. Tickets to take the tour can be had online for less € than paying in person – though you do have to specify arrival time. They can be easily printed at the self-service kiosk. I opted for an early bird arrival (saving more money) and went in the morning. The tour is a self-guided tour though it is kicked off with an introduction from a staff member above a copy the original lease embedded in the floor. Admission starts at €14 and gets more expensive later in the day. It can be €20 per ticket but includes a free pint of ‘the black stuff’! 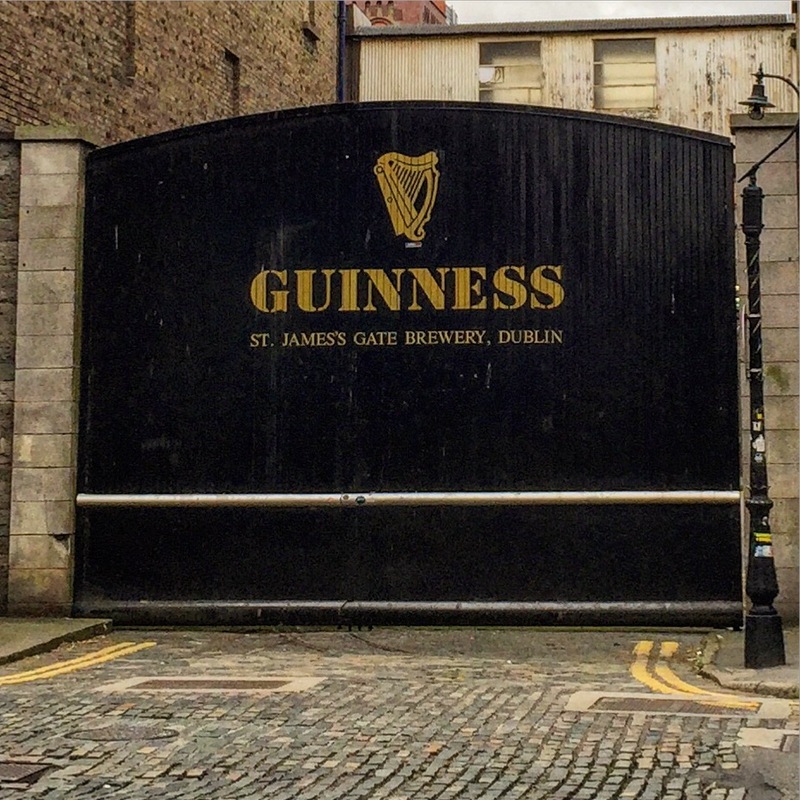 The first several floors concentrate on the ingredients of Guinness and part of the history. While some may find this to be distracting one aspect from the other, I found it nice because it didn’t make it too dry or boring. There was a whole floor each about the water, the hops and the yeast. 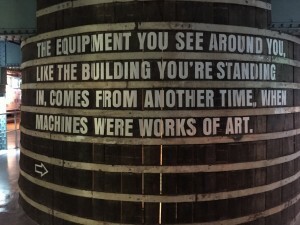 Each is perhaps equally important to the other and the Guinness Storehouse made a good point of showcasing each one. For water, there was a loud powerful waterfall. For hops, there is a plant that is more than a couple of stories tall and can be seen at each floor that it passes. The bit about yeast was interesting. There wasn’t a grand display of yeast or about yeast. Instead, there was a partially open safe containing an Erlenmeyer flask filled with yeast. Supposedly this flask of yeast would be used to regrow the strain of yeast that Guinness uses, in case something happens to the source. I have no doubt that this is not the actual yeast that they would use, despite the sign saying otherwise. 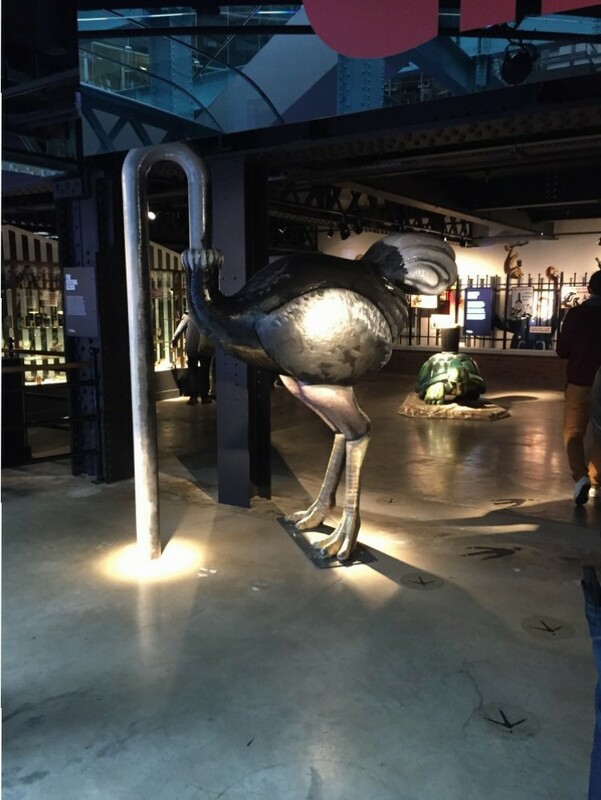 As you ascend the storehouse, each floor has a slightly different showcase. I particularly liked the area with all of the Guinness advertisements. These ads are highly recognizable and well liked.There are many advertisements and I could have spent hours looking at them. I particularly liked the ostrich – though I failed to find its head peeking out from the ceiling on the floor below. Another advertisement that caught my eye was the fish riding the bicycle. The caption was “a woman needs a man like a fish needs a bicycle”. Before you get your free pint of Guinness (I did mention the free pint, right? 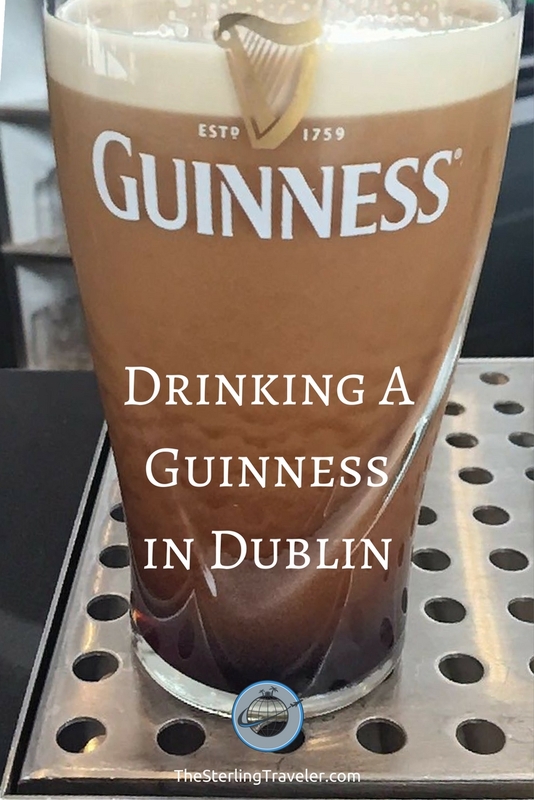 ), you are taught how to taste Guinness. You’re led down a corridor into a room that would rival Willy Wonka’s white room (for reference:YouTube video). 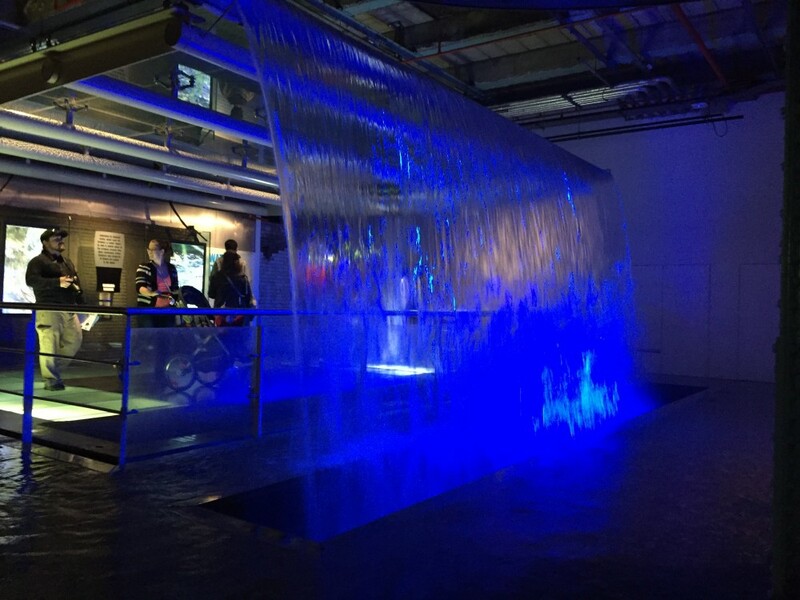 In this room, the major ingredients to Guinness are vaporized to create a multi-sensory experience. 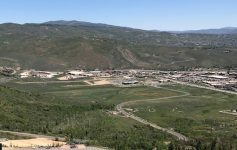 The smell was almost too much for me and it almost made me sick. As soon as I could pick up my pint-glass-shaped shot glass of Guinness, I made my way out to where the group tasted it. This room was without the noxious smell and comparatively dark. 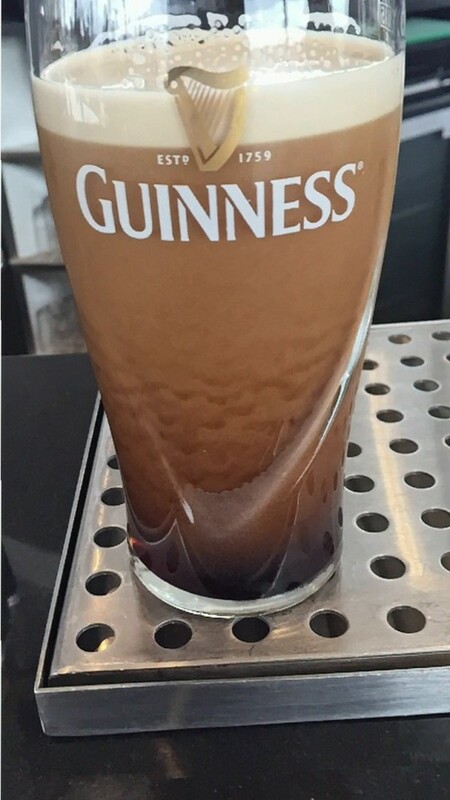 I’m not a fan of Guinness but I heard that it is much better in Ireland. 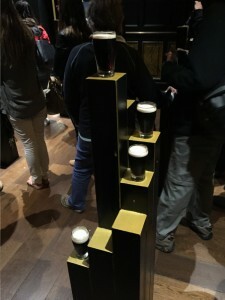 I visited the Guinness Storehouse knowing I would get a free pint so I can try the stout. I figured if I liked it then I could order it elsewhere and if I didn’t then I would know not to order it. It was my way of possibly saving a few Euros while still seeing a must visit attraction. 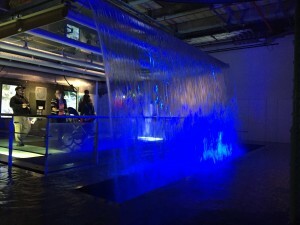 The top floor of the Guinness Storehouse is the Gravity Bar – one of two places where you can redeem for your free pint. The other place is a couple of floors down where you’re taught how to correctly pour a pint of Guinness. The Gravity Bar offers a 360 degree view of Dublin. I must admit, sadly, I did not like the stout as much was I wanted to. However, it was better than any Guinness I have had before and I enjoyed it with a few strangers at the table I sat at. 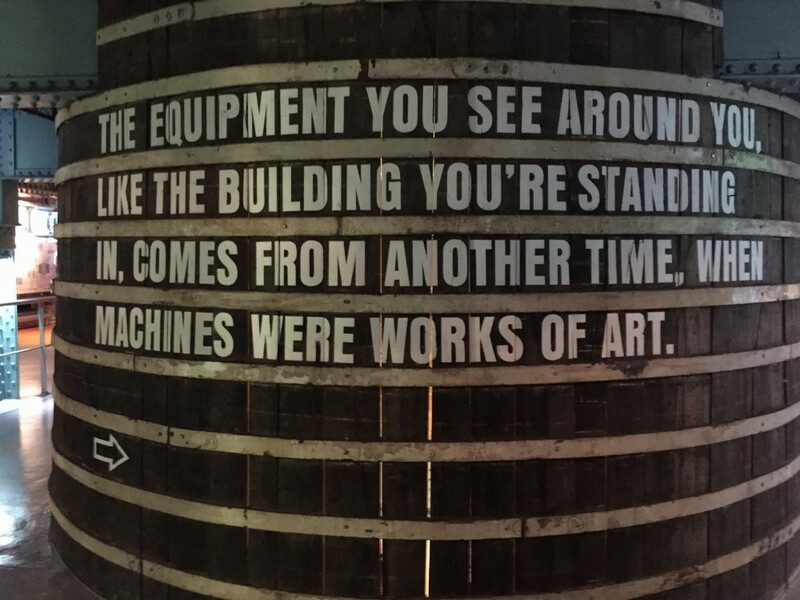 Have you visited the Guinness Storehouse? Leave your thoughts in the comments! I can believe it, it’s also so crowded!! We’ve been to Dublin twice and it was so crowded both times we went!! 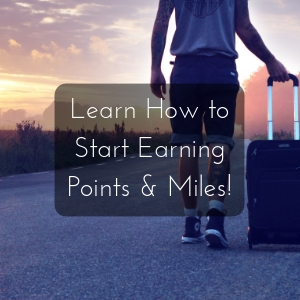 Love this and thanks for sharing on FlyAwayFriday! Omg I think this is one of the top things I really want to do in Dublin! I don’t like beer but who cares right? 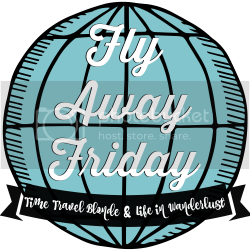 It’s a historical spot 😀 Thanks for joining Fly Away Friday, hope to see you again this week! 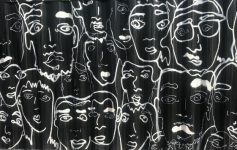 thank you for writing this post! I definitely think this is a MUST DO! 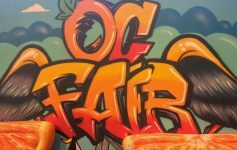 loving all the posts! I’d love to go if I ever make it to Dublin. I don’t love Guinness, it’s alright. But I think it’s one of those must-do things when you’re there. And to say you had a pint of Guinness in Dublin!